© Breon O'Casey, Crow II, 2004. Bronze with coral bead, Edition of 5. Images courtesy of Pangolin London and the artist’s estate. 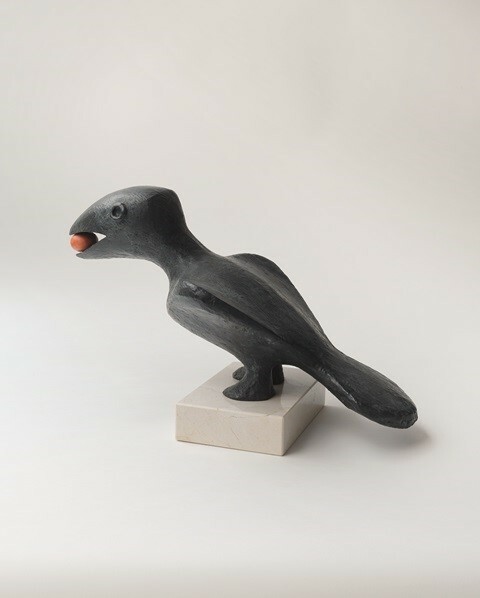 A prominent member of the St Ives School and renowned for his painting and jewellery, ACS member Breon O’Casey also created a prolific collection of sculpture in the latter part of his career. This exhibition at Pangolin London celebrates this remarkable transition and highlights the artist’s ability to successfully master a new medium whilst exploring central themes of figuration and abstraction.